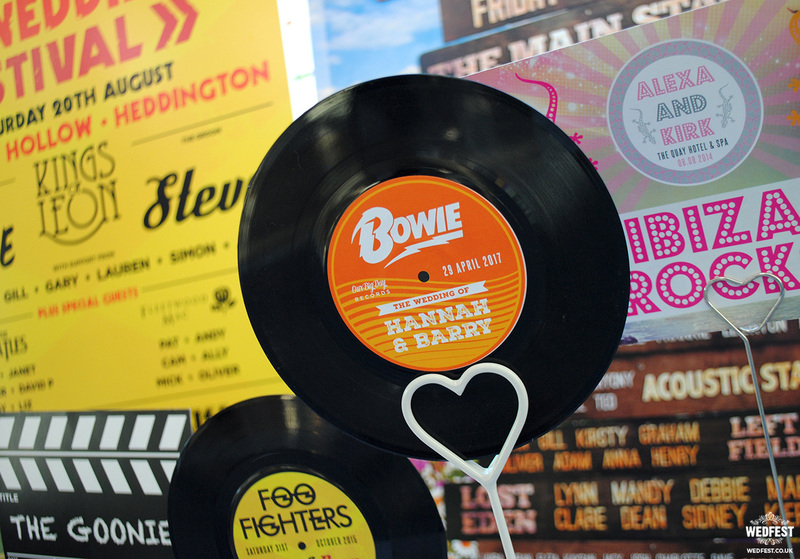 In the world of weddings, not all table accessories are equal. 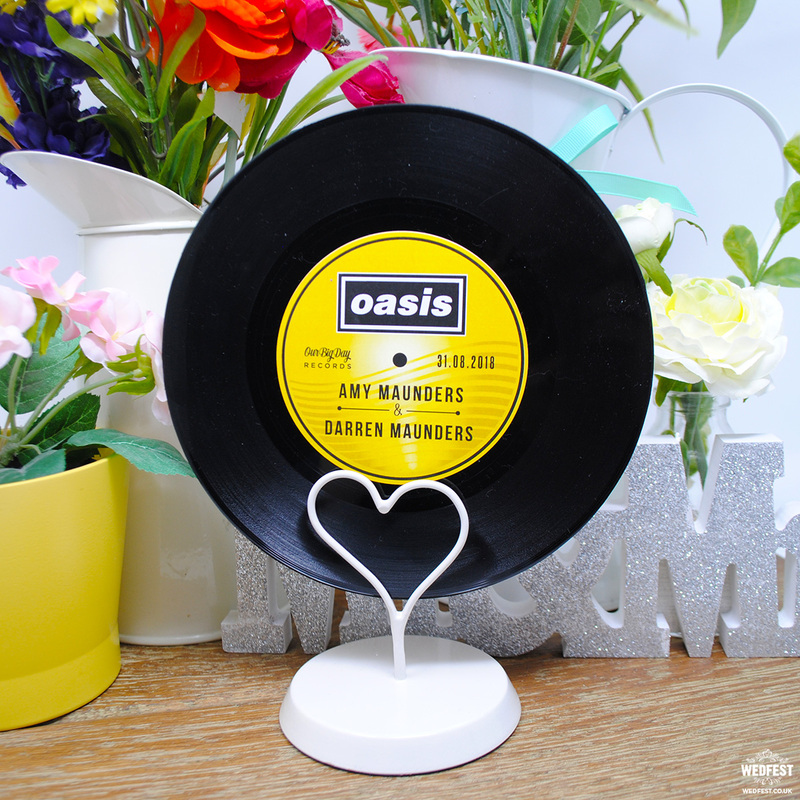 Gone are the days of candles and vases, we’ve said a solemn so-long to roses and pearls, and instead our music-mad, alternative brides are rocking the tabletops with décor that has a little more edge. 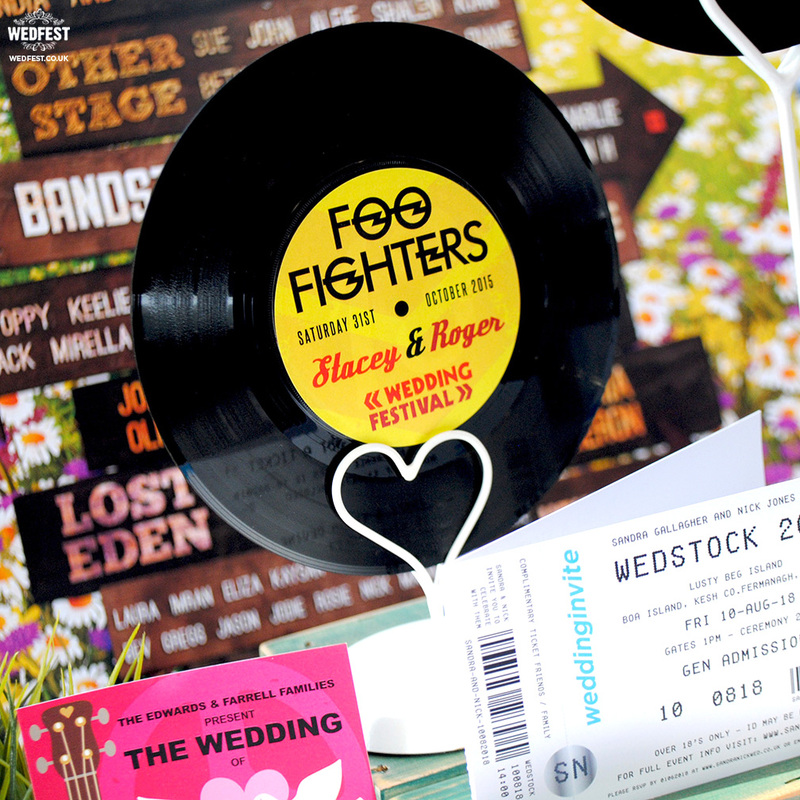 We’re die-hard fans of music here at Wedfest, and it’s our passion for all things festival themed that started our venture to bring brides and grooms the world over the opportunity to celebrate their love in a way that feels real and authentic. 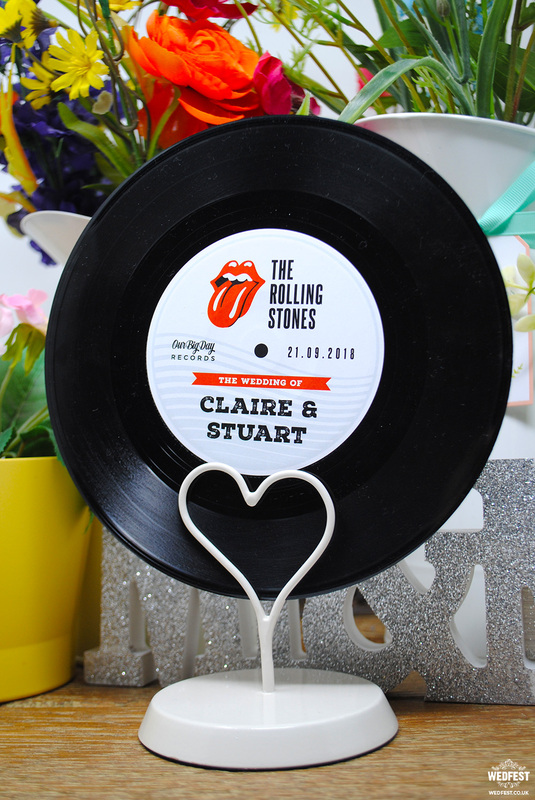 Our couples often bonded over a shared love of 80s glam rock, got cosy in a jazz club on a first date, or bumped glitter-clad shoulders during their first encounter in the throes of Glasto, and it’s recalling these memories and embodying them in your wedding day that we find so completely wonderful. 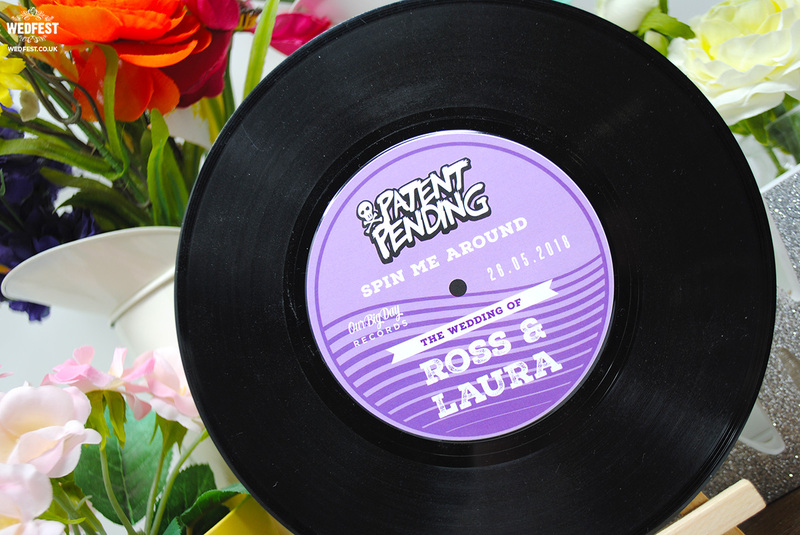 Enter… our custom vinyl record wedding table names! 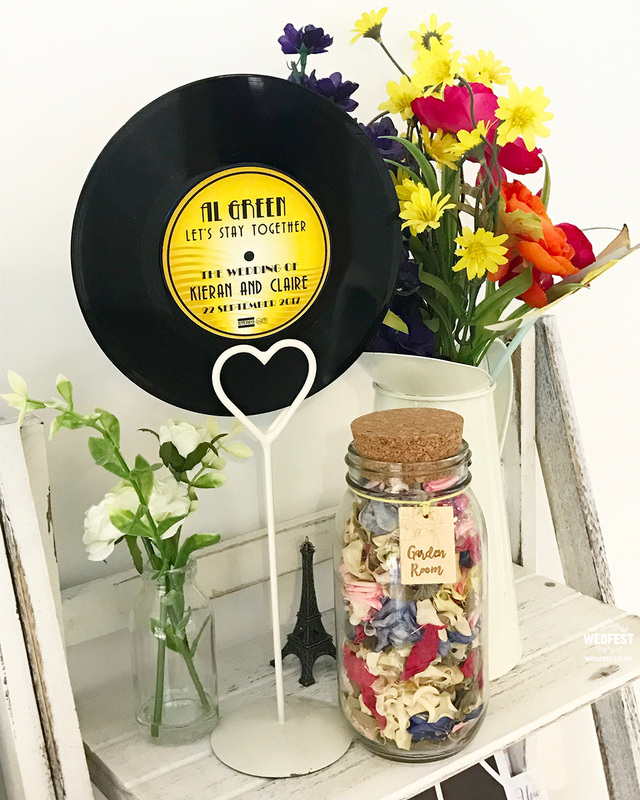 We’ve used our crafty talents to pull together the ultimate table décor, upcycling genuine vinyl records and wrapping them with custom graphics to align with your wedding theme. 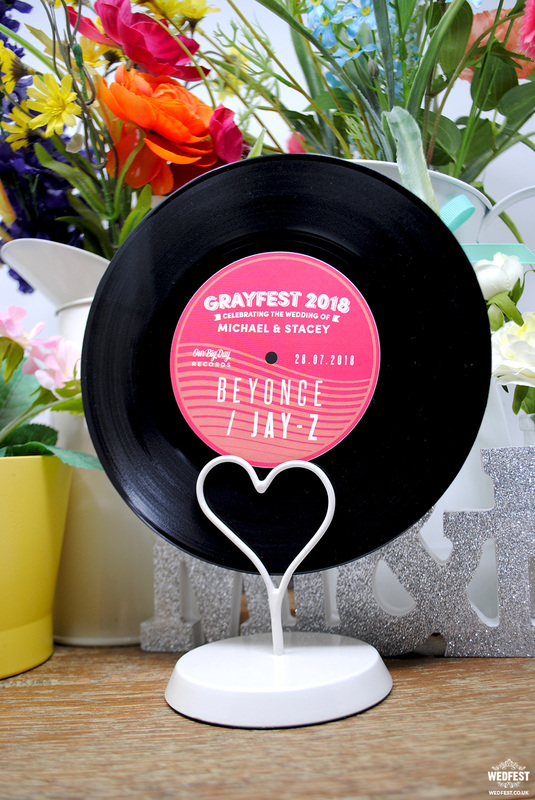 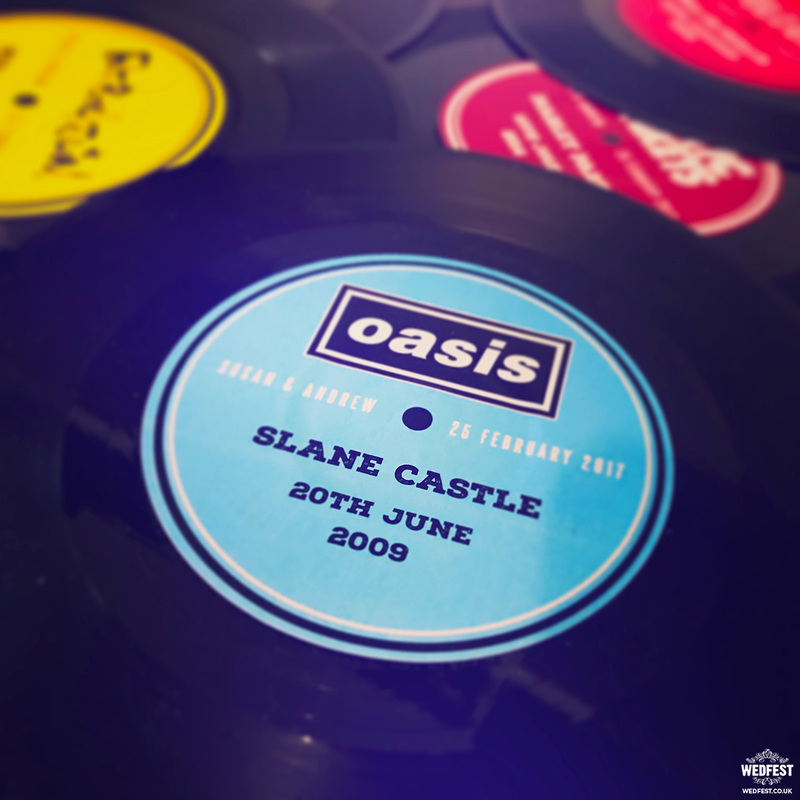 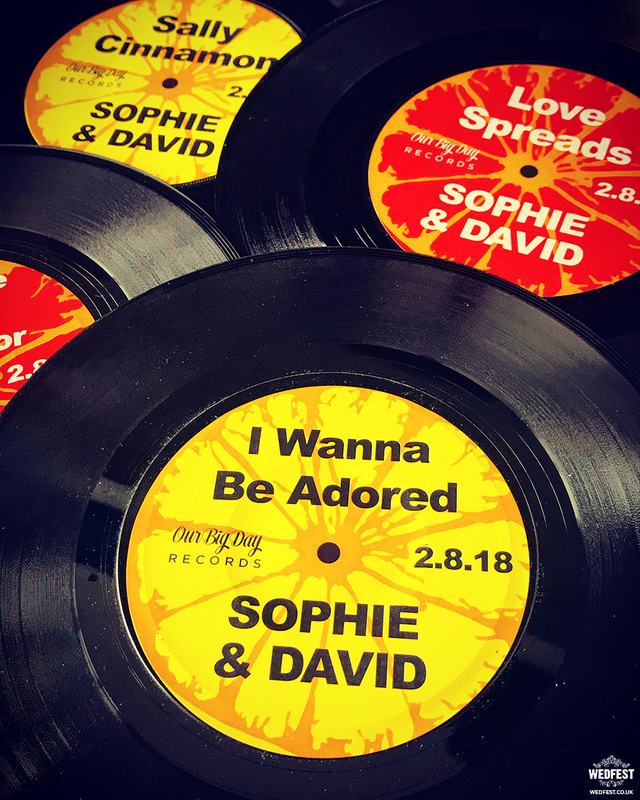 These 7” vinyl record wedding table names can be skinned to represent the band or artist of your choice, and could be a complete mix of your favourites or could all follow a theme. 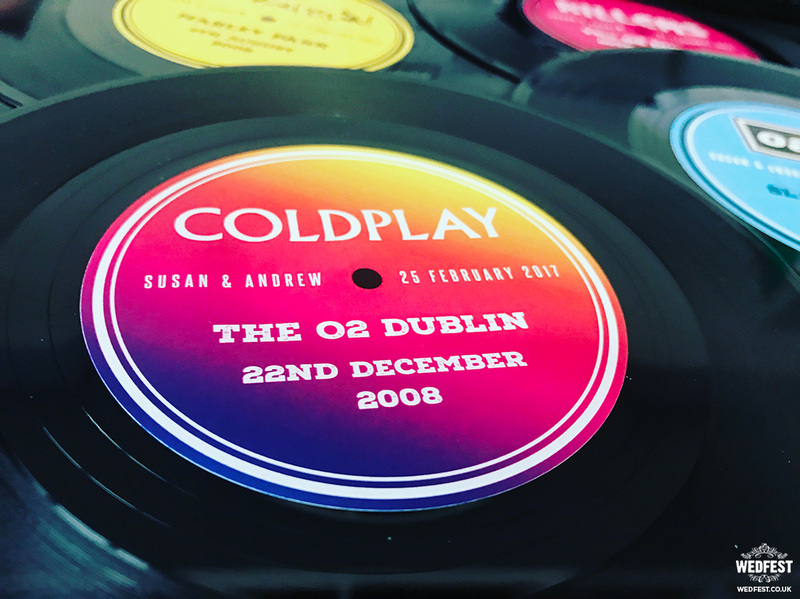 Sometimes people use their first dance, others opt for an eclectic mix of all of the artists that have been special throughout their relationship. 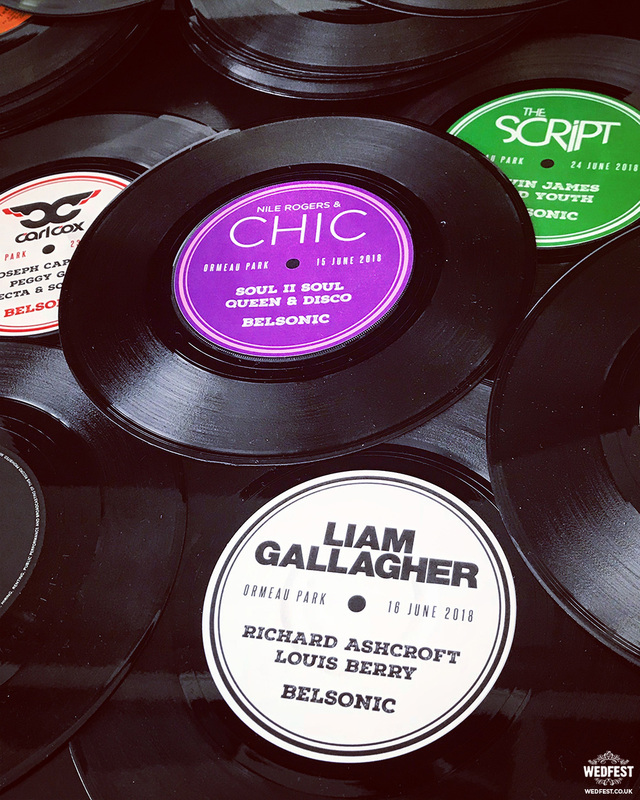 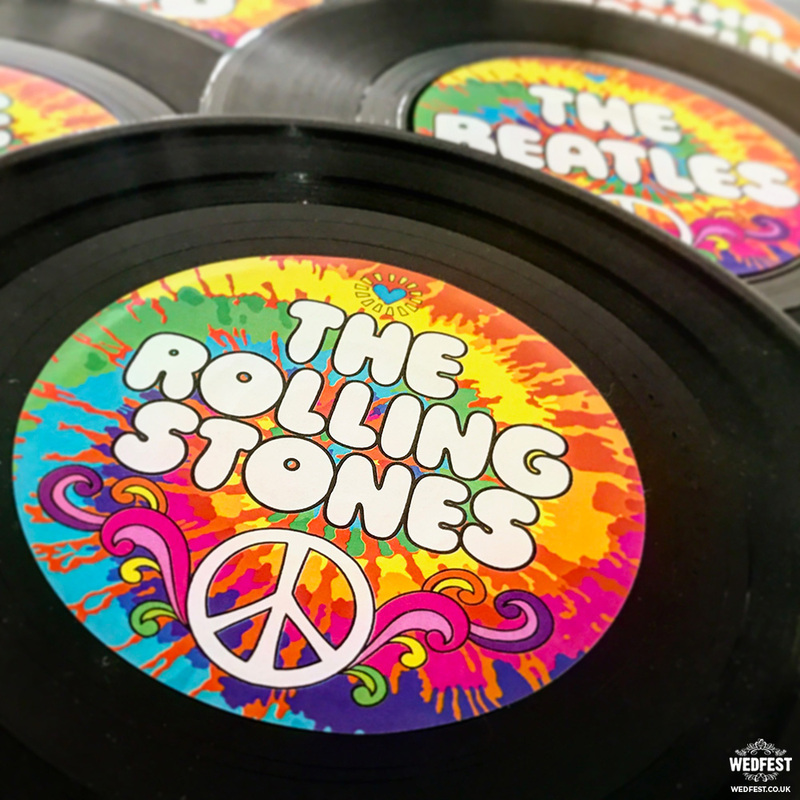 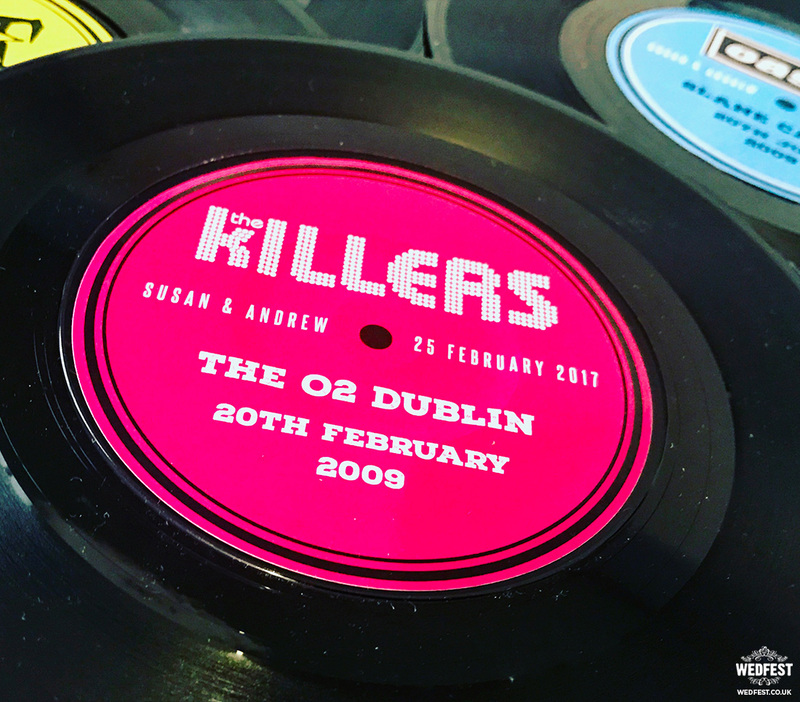 These make for a real ooh-moment when guests see that they really are the real deal – genuine vinyl records, turned masterfully into wedding table number centrepieces. 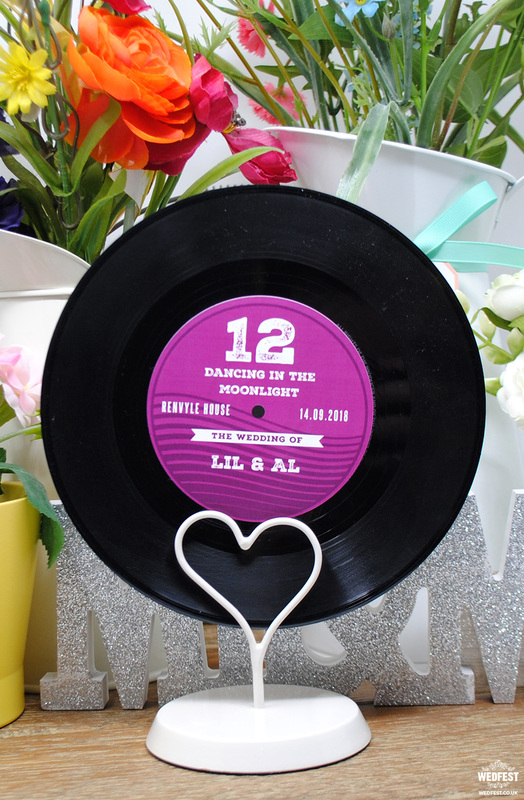 As well as being the perfect way to add a little theming to your day, our vinyl record wedding table centrepiece numbers also make for an excellent keepsake. 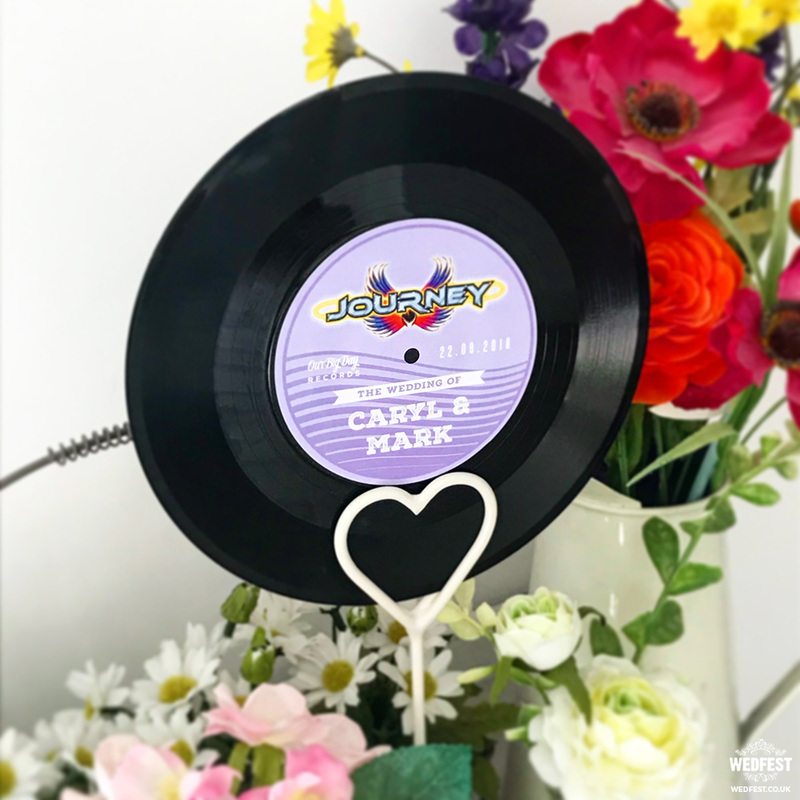 We’ve seen newlyweds frame them as a collection on the wall, and we’ve also seen them stand in a group on shelves and mantles, adding a bit of fun to any home and offering a reminder of the perfect day, every day. 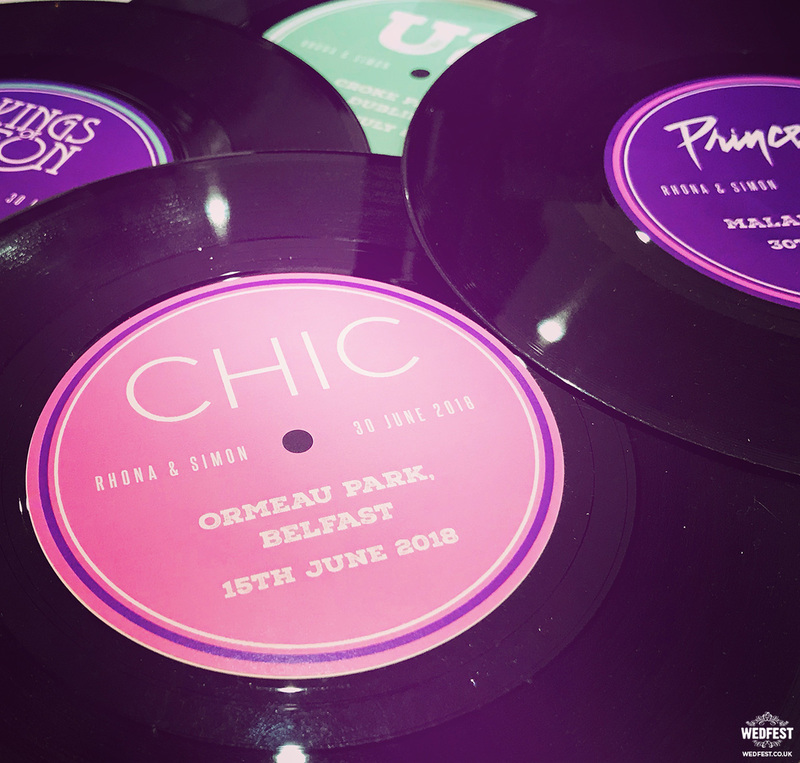 If you’re interested in a wedding day with some added spice, our vinyl record table names also work a treat in tandem with some of our other amazing music-themed stationery, including vinyl record themed wedding table plans, place settings, and menu cards! 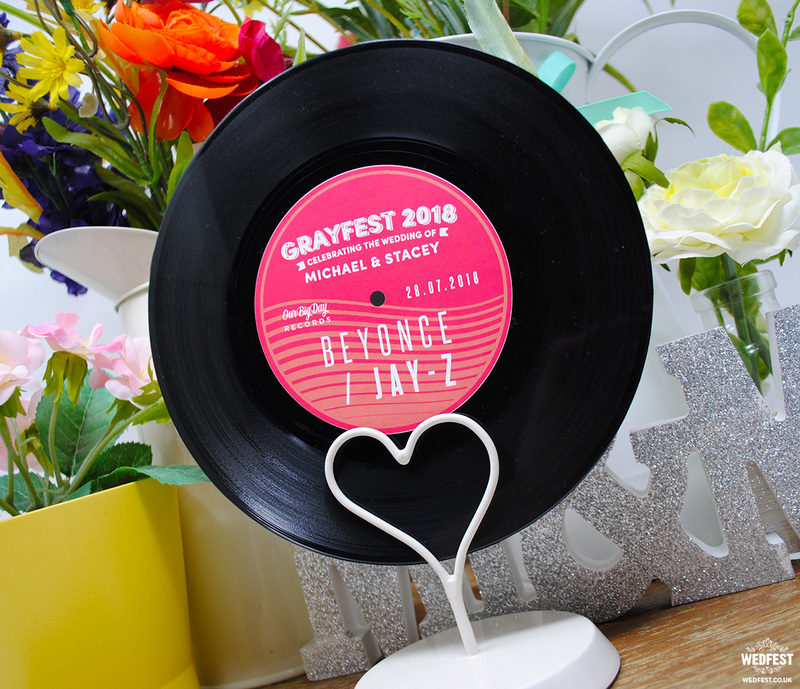 Lots of guests love to take these pieces away after the wedding, and it’s lovely to know that they do so because each piece is so very different. 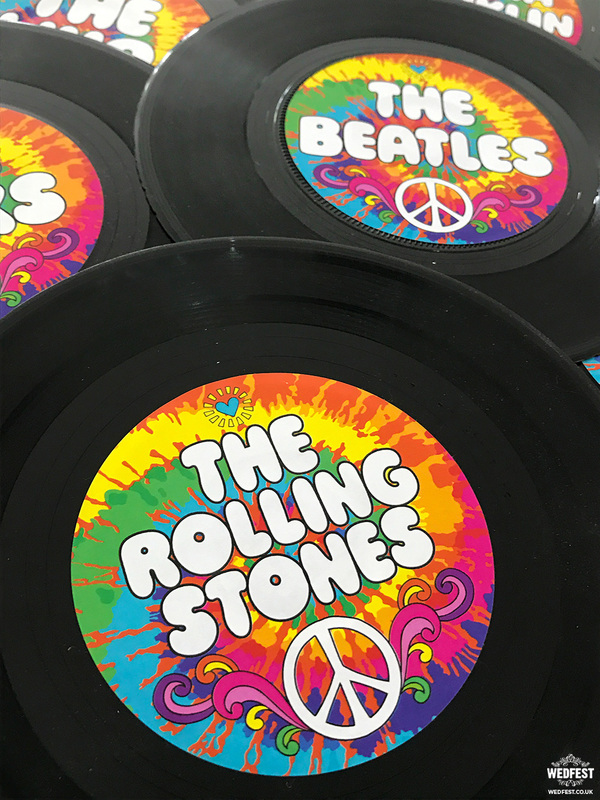 It’s our pleasure to help you create a unique and totally rocking day. 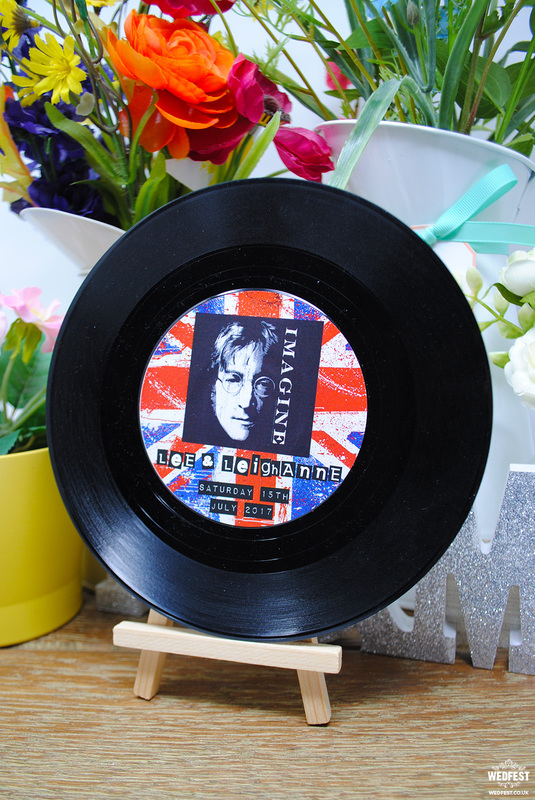 For more information on these Custom Vinyl Record Wedding Centrepieces please click here to get in touch.